The roots and tradition of winemaking have been passed on in the Zimmermann family through their German heritage in the 18th century. The vineyard and winery in Germany are owned and operated by the 6th and 7th generation Zimmermann vintners. In 1990, Josef Zimmermann started the Kings Court Winery on an 11 acre property in St. Catharines Ontario. 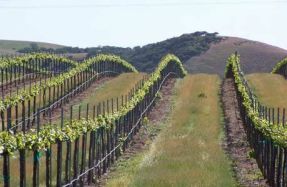 The winery has remained family owned and operated over the years, but has expanded its vineyard to 60 acres. The grapes grown here include Riesling, Cabernet Sauvignon, Gewurztraminer, and Pinot Noir. The Kings Court Winery prides itself on producing some of the finest Icewines in the Niagara Peninsula.